I was in Clapham the other day. I can’t remember why now. Oh wait, yes I can! I was going to Bodeans for something wonderfully meaty and saucy and sticky in a way that can only be found at Bodeans. But this isn’t about ribs (although it might be in a few minutes), this is about BEER. 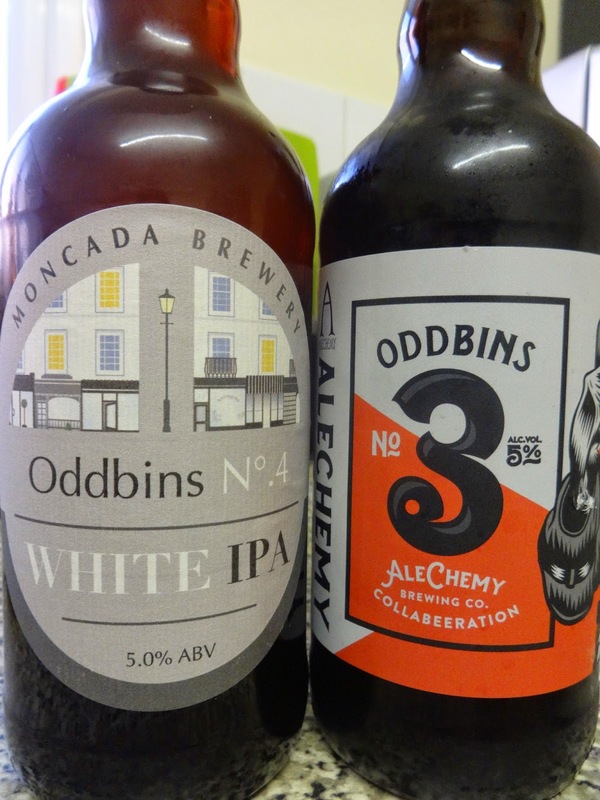 As I strolled down the high street I spotted an Oddbins out of the corner of my eye, popped in to have a shifty and found these bad boys: Oddbins No.3 and 4, collaborations with Moncada and Alchemy Breweries. Now I know what you’re thinking. You’re thinking ‘this is all well and good but where are 1 and 2?’ I also thought this (we are psychic twins). Turns out they were released last year when I was living under a rock. Anyway, I’d obviously missed the boat first time round, but this time I was on it like an MP expensing a duck house. 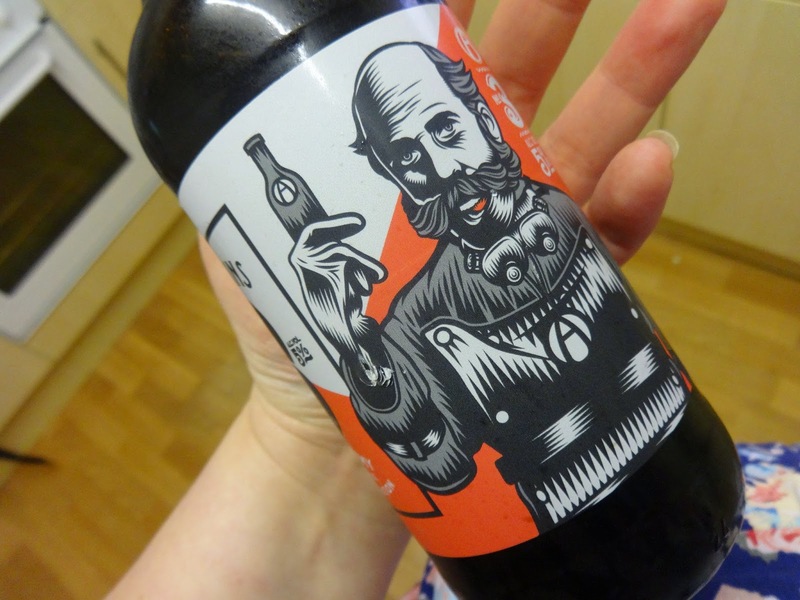 To start, I loved the labels, which stayed true to each brewery and their distinctive style. I’ve always particularly loved Moncada’s labels; they make me want to throw a stole around my shoulders, hail a black cab and head to somewhere straight out of an Agatha Christie novel. Of course I’ve never done this, but I’m only young so give it time. Of course there’s only so long you can admire a label and it was absolutely imperative that I crack these open before I became dehydrated. 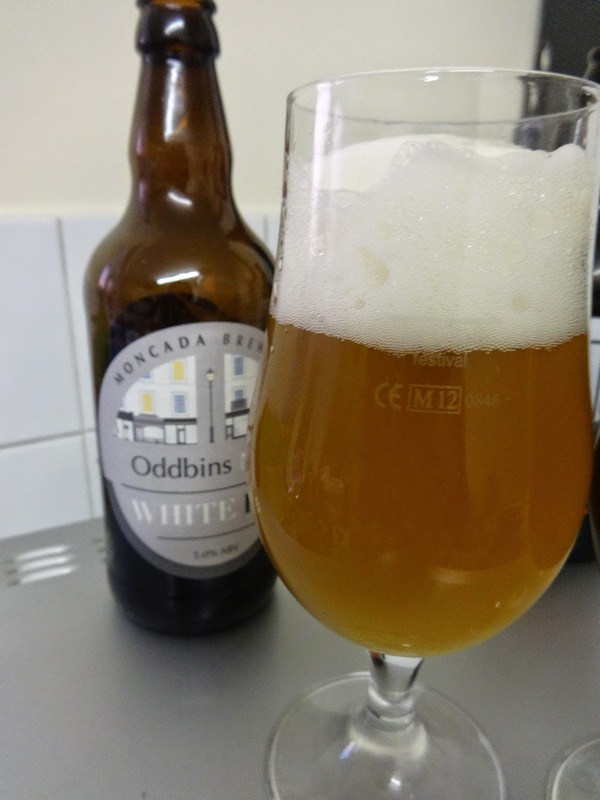 First up was Oddbins No. 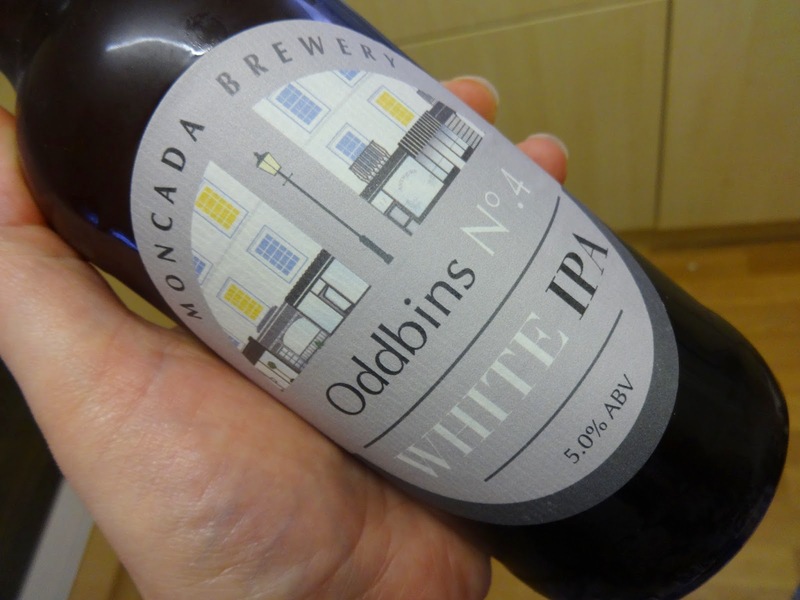 4 White IPA (5% ABV), brewed by Moncada. It poured a hazy orange, darker than expected, with a lively, frothy, brilliant white head. The aroma was strong with fresh, peachy and juicy hops combining into a delicious scent. At first sip I was a little disappointed; the aroma had promised a huge punch of flavour and that didn’t come through. However, I soon discovered a range of subtle flavours coming through: bananas and cloves reminiscent of a wheat beer, tangerines and a sharp citrus note at the end. This would be a great session beer, almost wheaty but without the Who Ate All The Pies feeling after a couple. 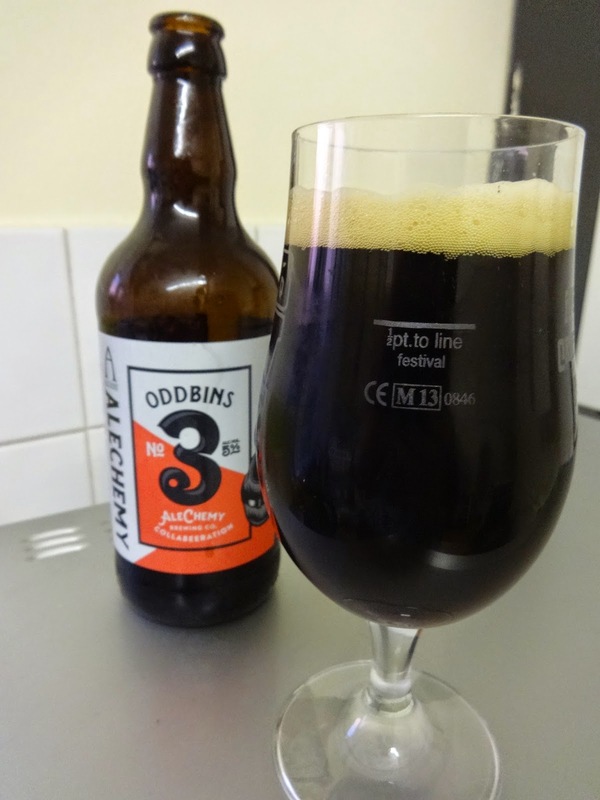 Next up was Oddbins No. 3 Black IPA (5% ABV), brewed by Alchemy. I’m a fan of black IPAs, but I find they vary so much in form and flavour. For me, a black IPA should be light in body and pack a big hoppy punch, but also contain dark, roasted notes, so that is what I was hoping for here. The pour was black (obv), with a beige head that fizzled down fairly quickly. The aroma was a mixed bag with some soft citrus notes, but also a strong scent of both sweet and burnt toffee. The taste was just as I expected: sweet and bitter with roasted and chocolately flavours, but with some bitter orange peel and grapefruit peeking through. A pleasant brew. What will Oddbins No.5 and 6 hold in store for us? I’m hoping for a black saison and a white stout, or a red ale that isn’t actually red, or for Siren to get involved and make another beer that’s PACKED with mangoes (god I love mangoes). Anyway, get a move on, I’m incredibly parched.